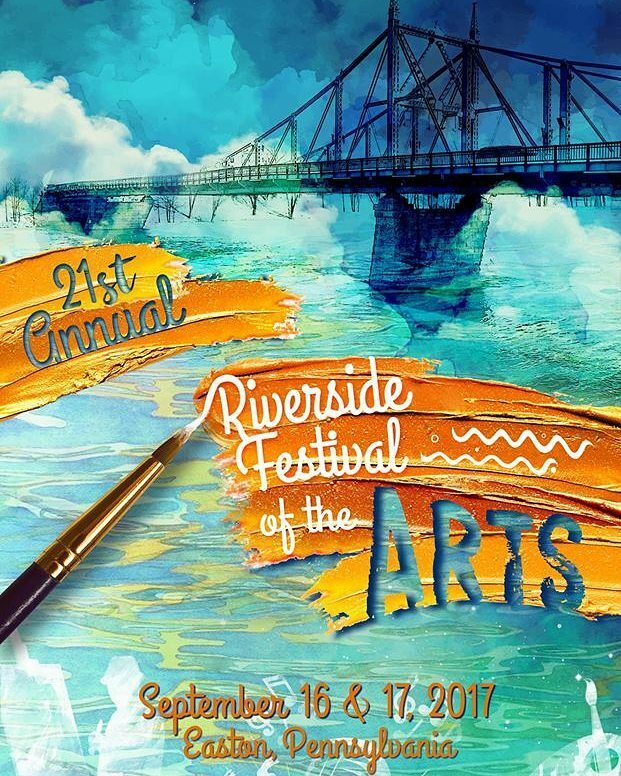 The Riverside Festival of the Arts is excited to announce a few performers who will be taking the stage for all visitors on September 16, 2017. 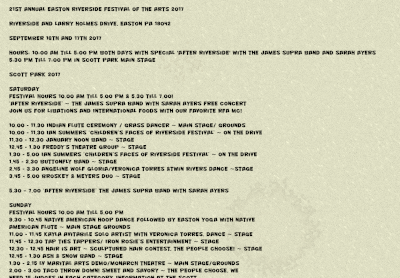 January Noon is an Acoustic Pop/Soulful duo based out of the Lehigh Valley. Consisting of Anthony Pasciuti on guitar/vocals and Thomas Mikhail on percussion, their goal is to just have as many people listen to us because we’re excited about what we have to share. Angeline Wolf Gloria ~ Dance! Angeline Wolf Gloria began studying dance at the age of four. She received her high school education from Interlochen Center for the Arts in Michigan, and her undergraduate education from the Juilliard School in New York. While at Juilliard she studied under Anthony Tudor, Jose Limon, Hector Zaraspe, Alfredo Corvino, Hanya Holm, and Anna Sokolow, and members of The Martha Graham Company. Her Professional career began at the age of 23 with the Louis Falco Dance Company. A year later, in 1974, she became a founding member of Jennifer Muller/ The Works. She was principal dancer and associate artistic director, as well as the primary rehearsal director and teacher for the company from 1974-1990. During her tenure with The Works, she helped to create ballets for Alvin Ailey American Dance Theater, the Lyon Opera Ballet, and Nederlands Dans Theatre. Ms. Wolf Gloria has also been a guest performer in the New York seasons of Twyla Tharp and Dancers, and the Lar Lubavitch dance Company. Ms. Wolf Gloria has been a guest instructor in workshops and residencies worldwide. She teaches classes in technique, repertory, solo-phrasework, and performance skills. In 2006, she co-founded the Totts Gap Arts Institute for fine and performing arts in Bangor, PA with her husband, James Gloria. 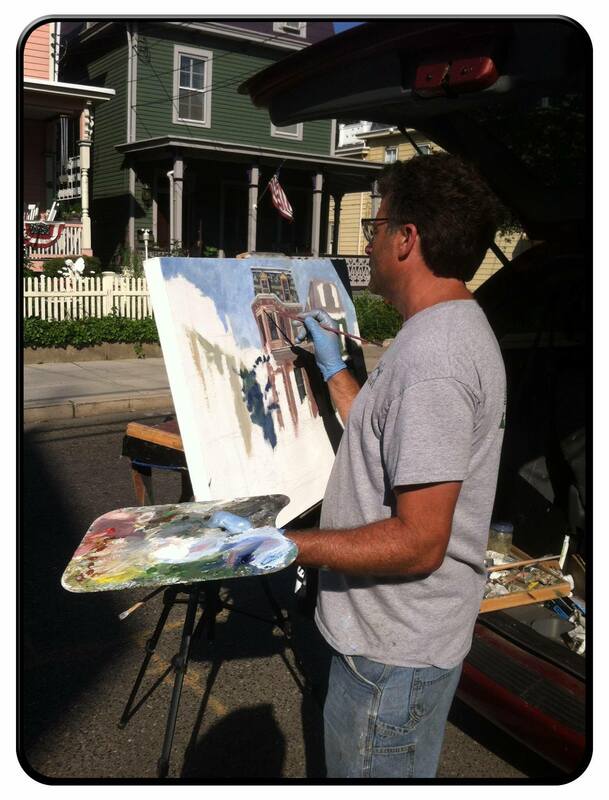 The center has brought a high level of community arts programs to an under served community. Twin Rivers Dance Academy is a school dedicated to the highest standards of teaching. They pride ourselves on working with each student to develop his or her skills and talents to the utmost. Past and current students have either taken classes or performed with American Ballet Theatre, Ballet Idaho, Ballet Theatre Midwest, Joffrey Ballet School, and San Francisco Ballet. Twin Rivers Dance Academy is also dedicated to teaching the joy and love of dance, which are the basis of their careers in performance and teaching. 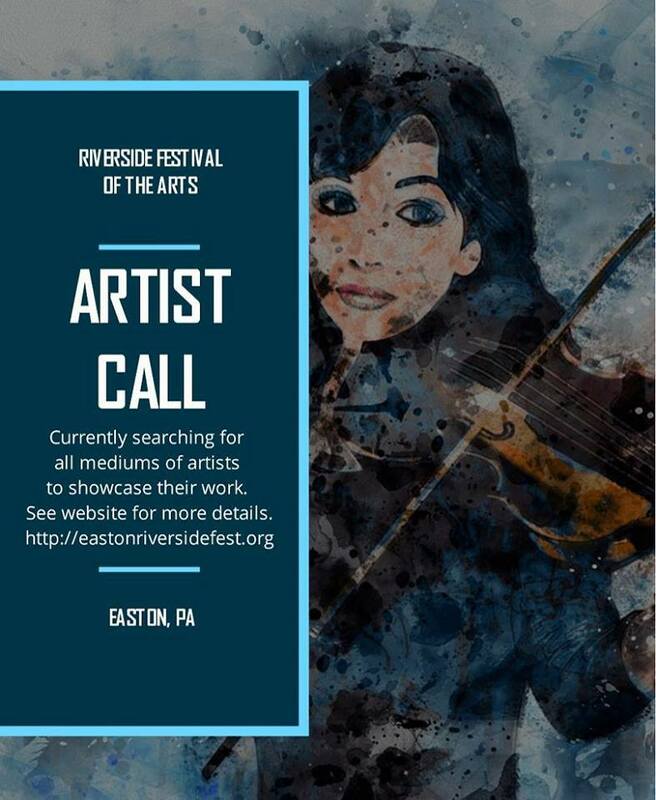 Previous post Enter the Juried Arts Gallery Contest at the Riverside Festival of The Arts for a Chance at $2,000 in Prizes! Next post Juried Art Gallery List for 2017!